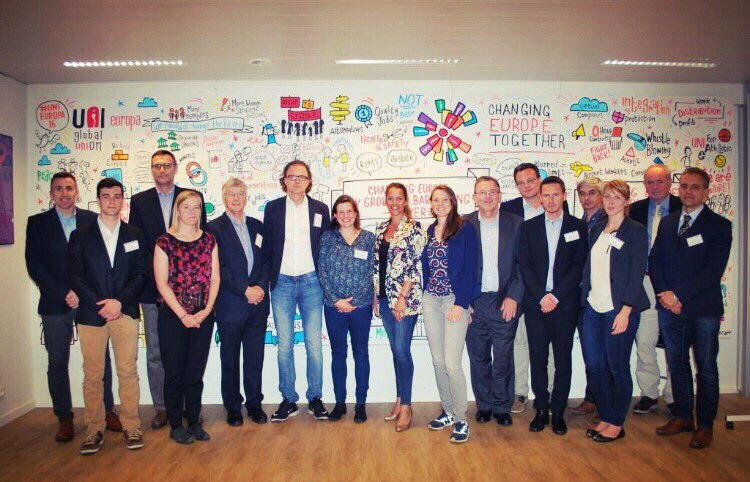 As part of the three year ESSA-Sport project (“A European Sector Skills Alliance for Sport and Physical Activity”) that will run until October 2019 and which is funded by the European Commission under the Erasmus+ programme, a specific European workshop focusing on “skills and workforce development” was organised in Brussels on Thursday 29th of June 2017. Hosted by UNI-Europa, the event gathered a total of 14 European networks / umbrella organisations from the sector, identified as the EU Expert Advisory Board in the ESSA-Sport project, to discuss and exchange on the main realities and challenges facing the sector and its labour market (paid/unpaid). On the occasion of the workshop, the new EU Work Plan for Sport 2017-2020 was officially introduced by Agata Dziarnowska from the European Commission (DG EAC – Sport Unit) and an open debate with questions/answers was arranged with the participants. The ESSA-Sport project was then introduced by EOSE with a focus on the expected activities and final outputs as well as an update on the activities undertaken so far at the national and European level. On behalf of the test phase EU Social Dialogue partners, UNI-Europa and EASE introduced the European Sectoral Social Dialogue Committee in the sector and the link with the project. A tour de table was then arranged to obtain concrete opinion and feedback from EU network organisations on potential ways of collaboration and synergies and on how the project can contribute to the overall EU Work Plan and priorities for the sector. The first EU Employer Skills Survey for the sport and physical activity sector is live!